You likely know that, after a wreck, you have to file a claim against the liable party or with the insurance company to obtain compensation for your damages. However, if you’ve never had to do this before, you may feel unsure of how to calculate a car accident settlement. The problem is that this is an absolutely essential step if you hope to recover any compensation at all for what you’ve been through. 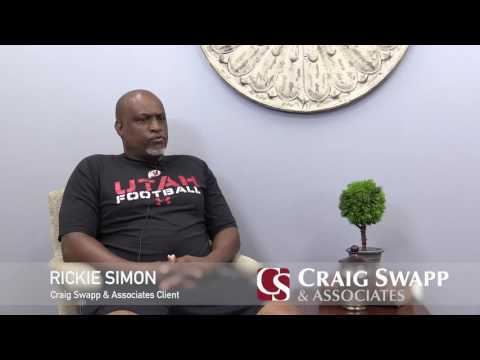 Our team at Craig Swapp & Associates wants to make sure you are given all the benefits you need after your collision so you’re able to move on with your life. After all, we believe you deserve justice when someone else’s negligence has left you injured and struggling. That’s why we’ve highlighted the contributing factors you should consider when assessing the value of your case. Almost every type of wreck leads to some type of property damage. Even minor fender-benders can lead to exorbitant costs. However, if you didn’t cause the collision, there’s no reason why you should have to pay these fees. Instead, include the total costs of any damage to your vehicle—or the cost of replacing your vehicle—in your collision settlement. Keep in mind that any other items that were damaged in your wreck, such as a laptop sitting in your passenger seat, can be accounted for as you tally up the financial costs of your damages. If your wreck also caused physical injuries, you should include any medical costs in your claim, as well. This may include factors like bills from your doctor or the hospital, the costs for any medical rehabilitation programs or equipment, travel costs, and medication expenses. You should also factor in all bills you will be expected to pay in the future. This might include corrective surgeries you expect to undergo or ongoing medication costs. If you’re hurt and trying to heal after your collision, it’s likely that you’ll be unable to go to work—or earn a living—for a time. You should be compensated for that. You can include the lost wages you’ve suffered and will suffer because of your wreck. Often, the effects of a wreck can extend far beyond simple monetary costs. Because of another driver’s negligence, you may suffer decreased quality of life, loss of companionship, and emotional trauma. These are considered non-economic damages, and you can include them in your collision settlement calculations. However, estimating the value of pain and suffering is difficult, which is why many auto collision victims leave that task in the hands of an experienced lawyer. Your attorney will know exactly how to put a price tag on the suffering your wreck—and the negligent driver who caused it—has put you through. Now that you know how to value a car accident settlement, you’ll likely be seeking a knowledgeable and reputable attorney to help you move forward. If so, don’t hesitate to contact the team at Craig Swapp & Associates. While adding up all the expenses you’ve incurred and assigning a value to each of your non-economic damages may sound like a daunting task to you, your attorney does this kind of work every single day. That means it’s easy for us. You shouldn’t be saddled with this difficult task while you’re recovering from your injuries and trying to piece your life back together after your collision. So get in touch with us. We will do everything in our power to ensure you recover the benefits you deserve. Fill out the online contact form at the bottom of the page or give us a call at 1-800-404-9000 to find out more about what we do and schedule a meeting with Craig Swapp & Associates today.